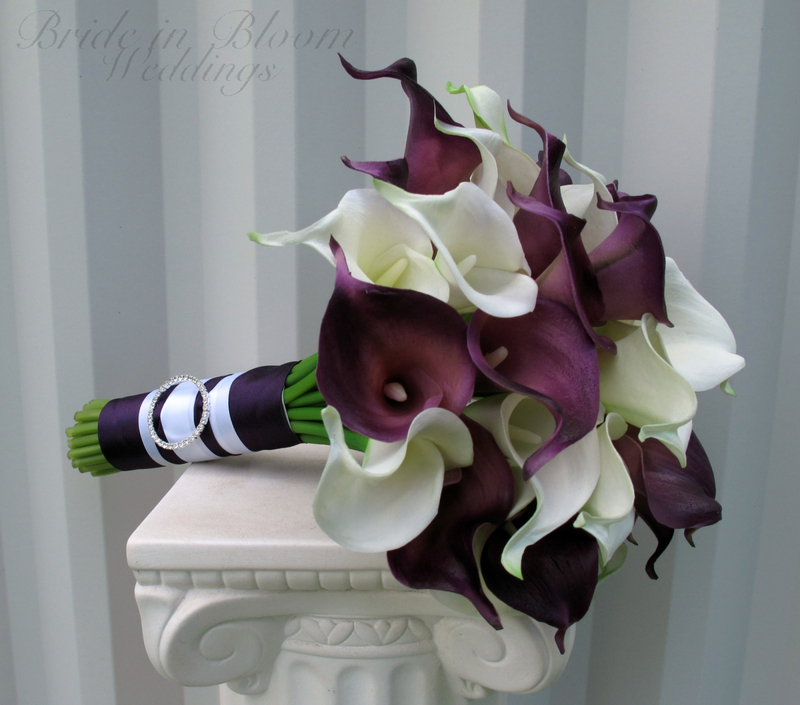 This calla lily wedding bouquet is made from our real touch flower collection. 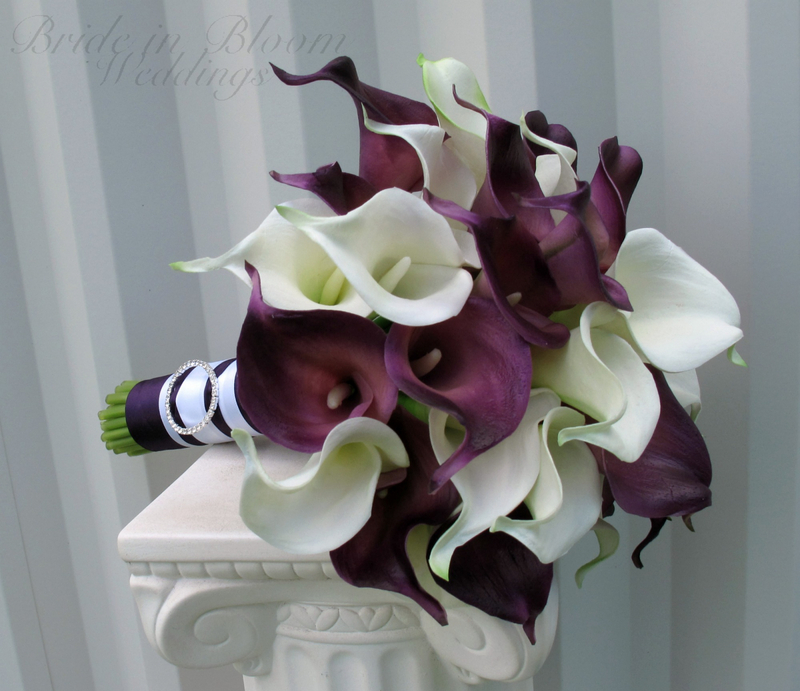 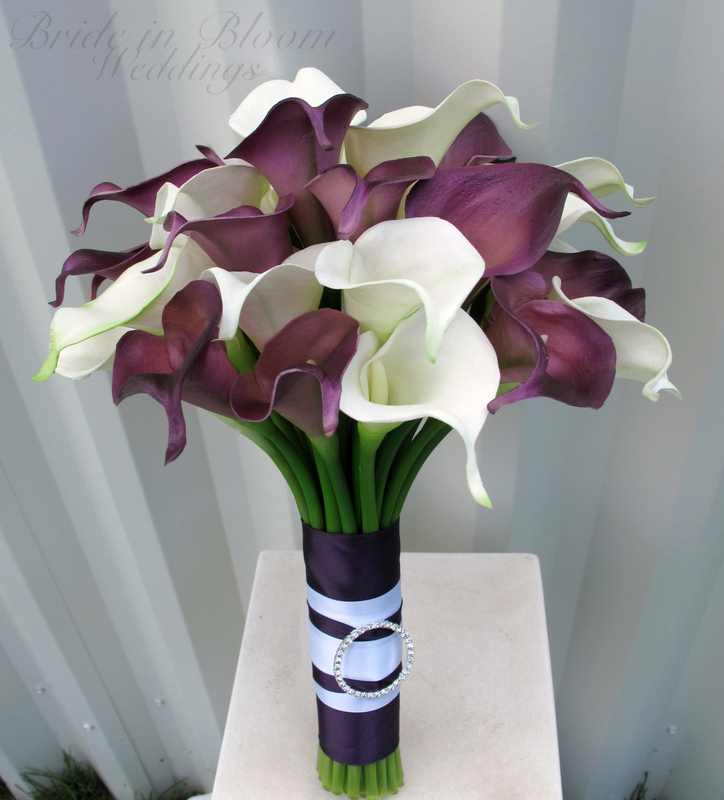 Real touch callas lilies are soft to touch and look so real, you are sure to love them. 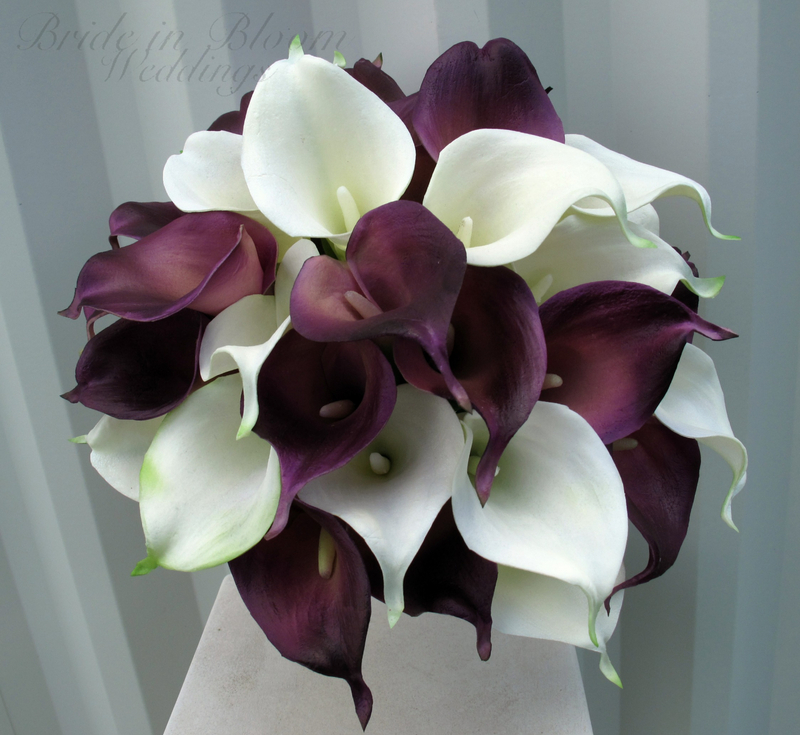 There are 36 plum purple & white mini real touch calla lilies, each bloom measures 2" by 3". 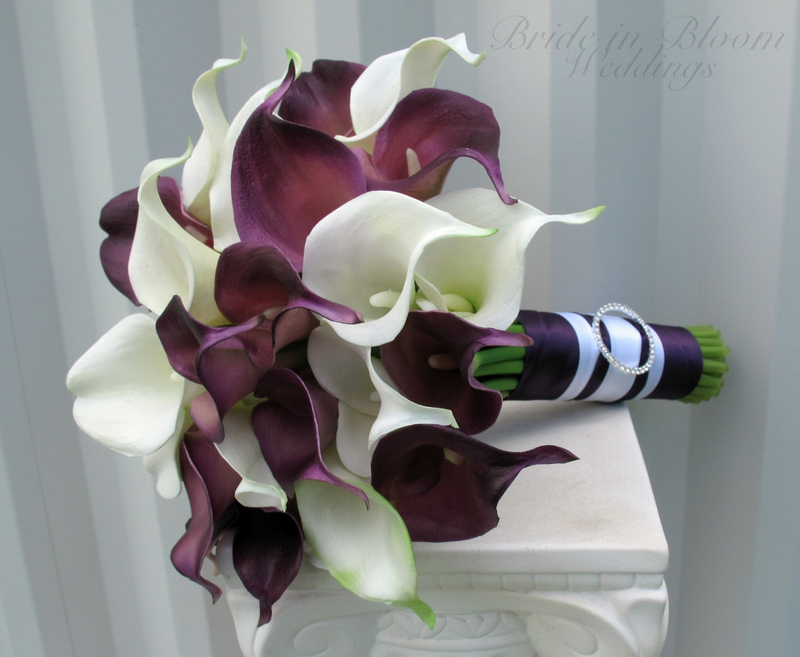 Handle is wrapped with plum purple satin ribbon, white satin sash & finished with a sparkling rhinestone buckle.